The aesthetic appearance of Jean Prouvé's EM Table adheres to structural principles, illustrating the flow of forces and stresses in its construction. 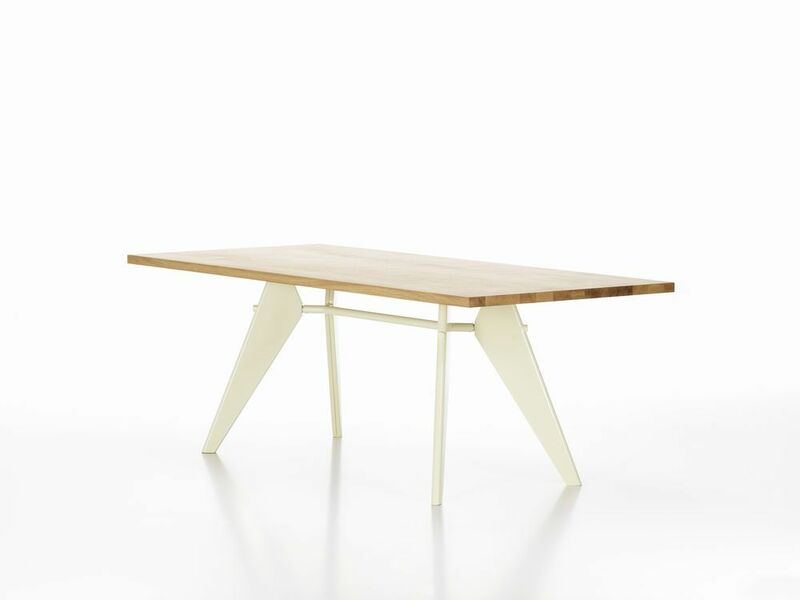 It is comes in a range of sizes with table tops in premium solid wood or HPL laminate in a choice of colours. Tops measuring 2000 or 2400 mm in length are also available in oak veneer. Thanks to this wide selection, the ideal EM Table can be found for every dining room. TABLE TOPS IN SOLID WOOD 34 mm thick with oiled finish; natural oak, smoked oak or American walnut. BASE Bent sheet steel and tubular steel, powder-coated, matched to the colours of the Standard chair base.